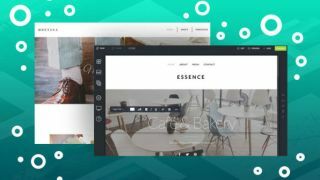 Get lifetime access to a service you need to build incredible-looking websites without needing to learn to code. Building a website from scratch is time-consuming. When you need to launch your web presence quickly without sacrificing look or function, you need SnapPages. Get a lifetime subscription on sale now for 95% off the retail price! SnapPages lives up to its name by making getting a website online a snap. Pick from a collection of professionally designed templates and customise it to your heart’s desire so it has the exact look and feel you need. You’ll get fully-featured, functional and responsive sites designed to look great no matter what platform they’re viewed from. You can get a lifetime subscription to SnapPages on sale now for just $49.99 (approx. £39). That’s a saving of 95% off the retail price – a great deal for a service that will save you time and money!